The beauty of a dance at dusk. The beauty of the start of their dream. Engagement Session - My brother is getting MARRIED!!!! Okay, so tears definitely flowed as I watched my "little" brother propose to his beautiful girlfriend! To be there and witness the moment when she was so surprised just brought tears to my eyes (and even fogged my camera up a little haha)! Congratulations Jonathan and Megan - I love you both so dearly! "One look at you; my whole life falls in line. I get to love you." I traveled from Newberry to Columbia and back to Williamston to spend the day with this family. 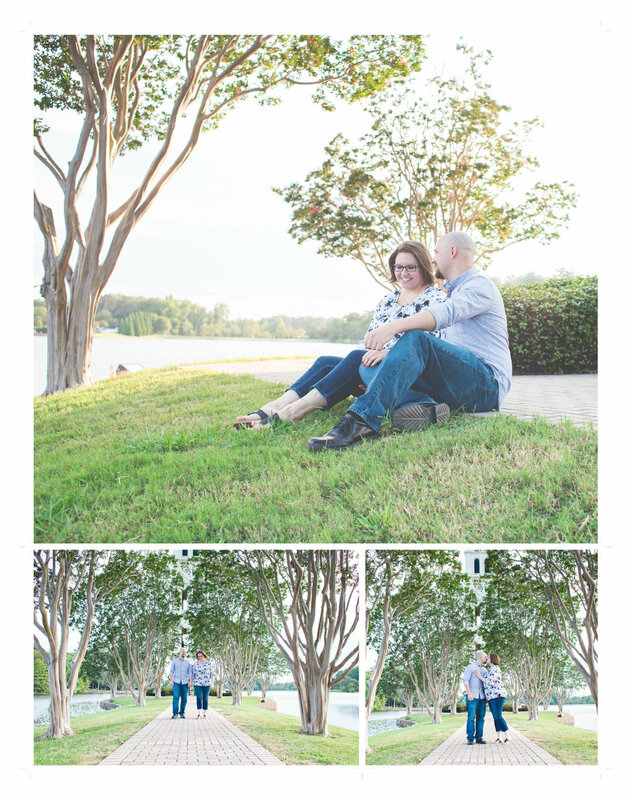 We celebrated an engagement with their daughter and a first birthday with their grandson. A dear friend wanted to surprise her husband with the news that he is soon going to be a daddy. He was under the impression that they'd won a free photo shoot. I handed them each a chalkboard and marker and told them to write three things they love about one another. It was news he was beyond excited to get. Congratulations Cody and Haley! !